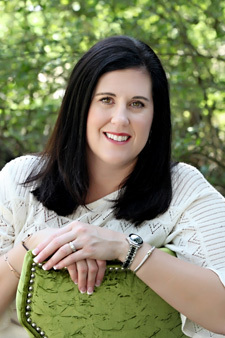 Amanda is a longtime Mississippi native, having grown up in Raymond, MS and she is currently living in Madison, MS. She earned a Bachelor of Science in Public Relations from Mississippi College and became a licensed Realtor in 1999. Amanda worked in real estate for two years before starting a career as a pharmaceutical sales representative where she worked for over 15 years. She has just recently returned to the real estate industry as a Real Estate Sales Specialist, and with the support of her family and friends, she has found her true passion and enjoys helping her clients buy or sell their homes. Amanda’s extensive background in sales and public relations and her extraordinary understanding of the Jackson metro real estate market gives her clients a strategic advantage as she assists them with buying or selling their home. Her attention to detail and her excellent customer service ensures that her clients have a smooth real estate transaction from beginning to end. camp, and watching her kids play baseball and tennis. She is married to Brian Clegg and they have three children: Sara Kaitlyn, Drake, and Remi (their four-legged canine “child” who is a white Labrador retriever!). Amanda and Brian are active members of Ridgecrest Baptist Church in Madison. Give Amanda a call at 601-750-0058 or email her at Amanda@HopperMS.com today and let her help you with your real estate needs!